I will need your suggestion to shortlist MBA colleges to where I should apply for the batch starting from Fall 2018. I am planning to apply in round 1 itself. Can you suggest some colleges which suit my profile ? Thanks for reaching out! 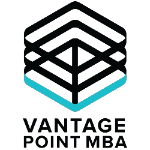 So it sounds like you see the MBA as more of a career accelerator vs. a springboard for a career change. I’m happy to see that you have some clearly defined career goals that will directly leverage the experience you’ve gained over the last 4 years. What will be an important part of that story is to a) present a compelling reason “why” for your goals and b) clearly explain why you need the MBA to achieve these goals. All together, this narrative will be key in differentiating you from other competitive applicants, particularly in the hyper-competitive Indian male engineer pool. So with that said, school selection typically warrants a deeper conversation than the details we have covered in this post. The “soft” elements of fit are incredibly important and that’s something that you’ll get a better sense for as you research various programs that interest you. In general, given the information you provided, I think your profile is competitive for the top 15-25 in the US. Programs like Tepper (Carnegie Mellon), Ross (Michigan) as a reach, and UT Austin could be interesting options for you given your focus on operations management. I hope that helps! Best of luck to you as you get started on the application process!